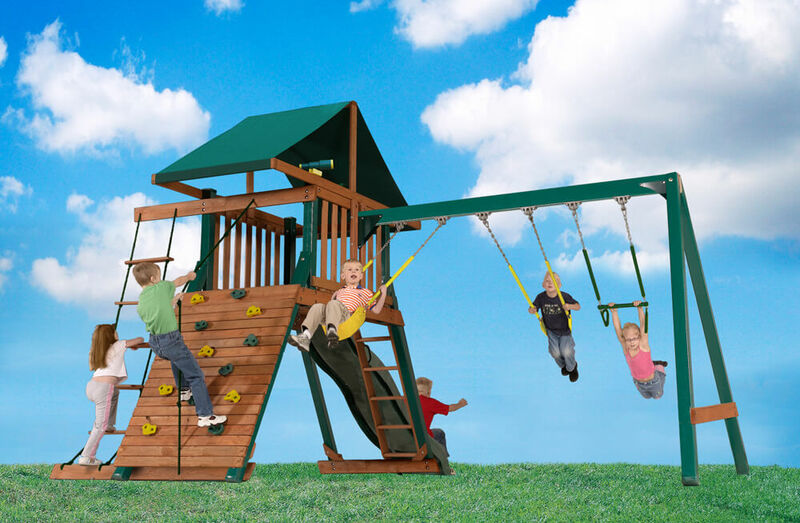 The Captain’s Loft swingset has a little bit of everything for little ones. The tire swing provides a swiveling adventure for up two kids. 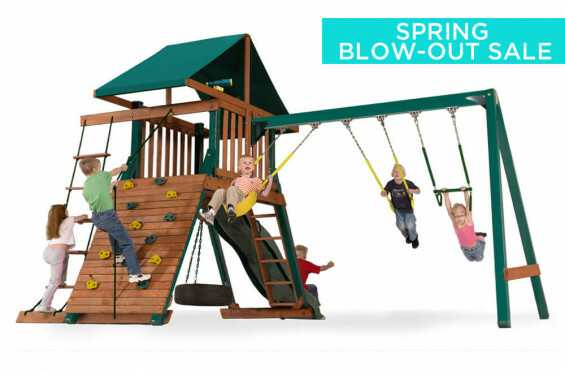 Two swings and a trapeze bar will encourage kids to show off how high they can soar. 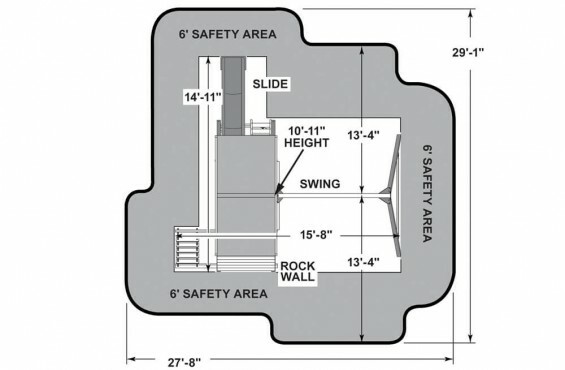 A wide rock climbing wall and ladder present two ways to the play deck. Once inside, children can let their imagination soar as they try out their telescope and play fort with their friends. Your child’s ultimate backyard adventure awaits. Wave slide length: 9' | Width: 23" | Material: High Density Polyethylene | Max weight: 150 lbs. 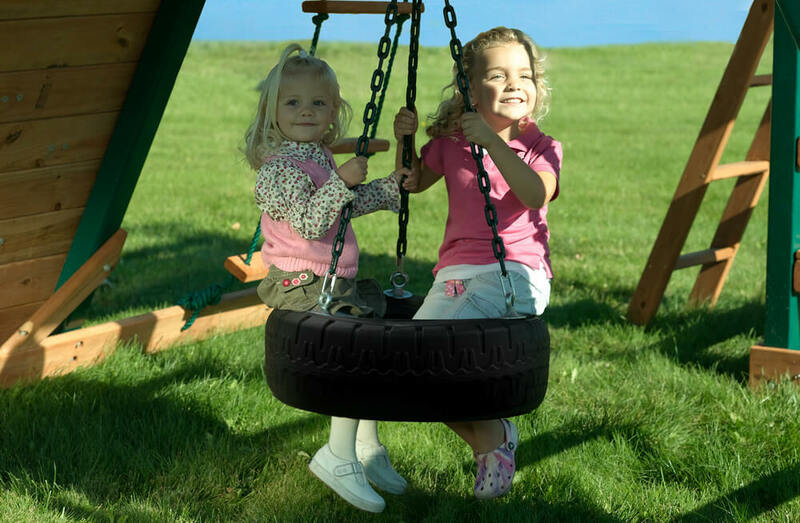 Ladder height: 60" | Width: 18"
Tire swing Dimensions: 28" diameter | Max Weight: 150 lbs. 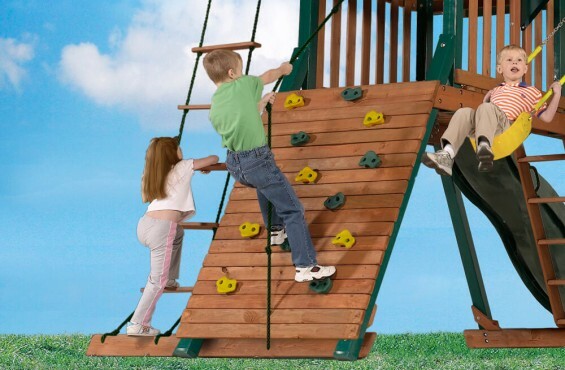 Rope ladder Height: 94" | Width: 20"
Total weight assembled: 675 lbs. Total weight with pallets & packaging: 805 lbs. We also offer professional installation on the Captain's Loft swingset for $300.